ETA du Hameau Bouvet is a true farming family. Bertrand Joubin is a contractor in Normandy, France who took over the 40+ year old business from his father, and now helps dozens of farmers in his area. See his story through the eyes of his mother, children, and from his workers and clients, who after all these years have become part of the family as well. His wife grew up on a farm, his mom still feeds the seasonal workers every day, and his son just might follow in his footsteps. One of the hardest jobs in the world can't be done alone, but Bertrand's family is always there to help. From pitching in to cook meals for his workers, to lending a hand during harvest season, it's always all in the family. 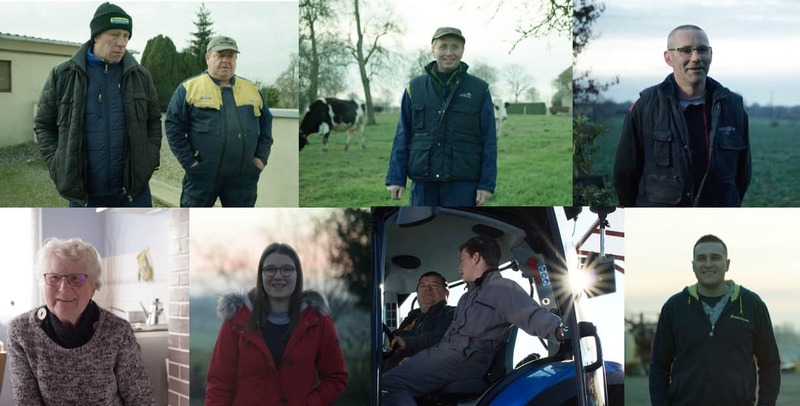 Meet Bertrand's mom, Solange, his daughter Perrine, his business partner Michel, Nicolas, one of his seasonal workers, and of course his clients — Jeremy and Jacques.